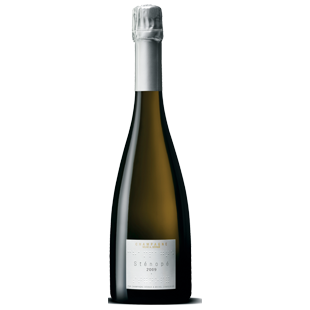 "The nose is pure indulgence: vanilla, brioche, warm bread, praline... but also lemon, zest and candied. On the palate, it is fresh and refined, with the body and intensity that is typical of the 2009 vintage. Lemon, bergamot, citrus zest and toast balance with beautiful tension. The finish is long, with chocolate notes. Sténopé 2009 is the perfect blend of generosity, ripeness and freshness. It is the "blessed" vintage."